As Artistic and Education Director of the Chamber Music Festival and Orlando Chamber Soloists, Ms. Edwards has developed a comprehensive and complete educational program for all ages. Her creation of the “Teddy Bear Series” Story Time set to Classical Music and “Music in Our Community” programs for talented high school children have created a festival, which has grown by more than 800% in 7 years. Her educational programs in collaboration with community leaders are designed to breakdown economic and cultural barriers through music with awards from United Arts of Central Florida and the NEA. Her skills as a classical musician and her innovative multimedia programs delight audiences of all ages. Ms. Edwards strongly believes that collaboration with artistic community leaders and performances for young people where they can interact with our professional musicians is essential for fostering a thriving cultural community for the future. Graduate of the Eastman School of Music, Dawn has won international auditions in Orquesta Sinfonica de Castilla y Leon, Spain; Florida Orchestra; and Sarasota Orchestra, Florida. While working in Spain, Ms. Edwards toured Europe extensively with the Orquesta Sinfonica de Castilla y Leon as an orchestra member and a soloist. 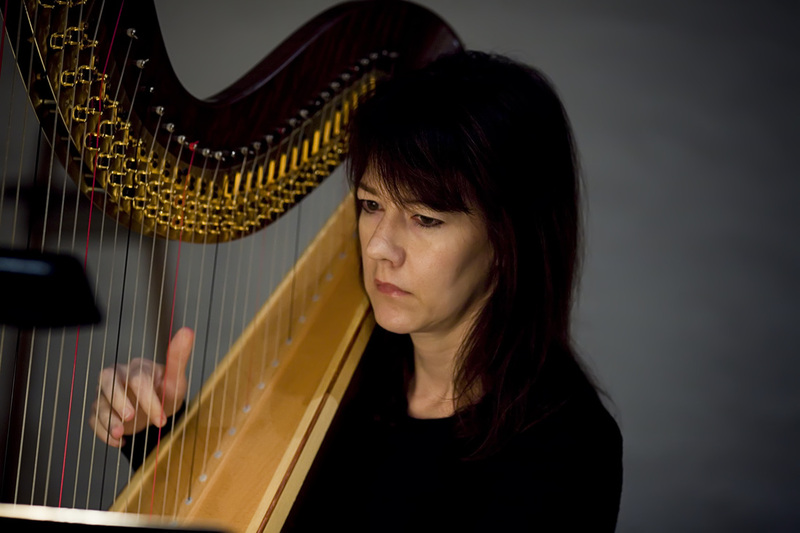 While living in Spain she was the guest principal harpist for the Orquesta Sinfonica de Austurias, the Orquesta Sinfonica de Galicia, and an extended tour with the Orquesta Sinfonica de Tenerife in the Canary Islands. Recordings include the Mozart Flute and Harp Concerto available on the CineArt label. She has also recorded and toured with great artists such as Wynton Marsalis, James Galway, and Aurora Ginestera.